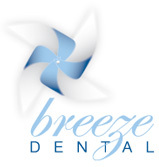 We know that sometimes it can be hard to get to the dentist with work and family commitments, so Breeze Dental Helensvale, Gold Coast happily offers Saturday appointments and after hours appointments until 7 pm on Tuesdays and Thursdays evenings. Please call us on 5665 7189 to check availability. Do you have a dental emergency? Please call us on 5665 7189 for an appointment. For outside our office hours, the hospital emergency department is available. Our experienced and Australian registered dental team can assist you with your needs.